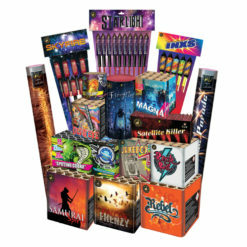 A stunning selection of superior quality display fireworks giving a comprehensive mix of noise and colour, aerial and ground cover including large calibre cakes and candle pots. Save £141 off our already discounted prices! Nothing impossible with this amazing little Catherine wheel. The Fantasia wheel will have you in a spin. 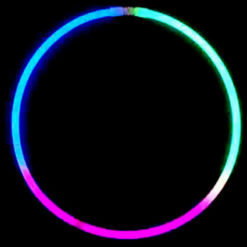 With a duration of nearly 50 seconds and six colourful stages throughout. 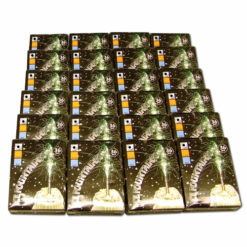 Including phases of red glitter to gold sparks, and blue trails to sparkling silver glitter trails. 5 out of 5 Cracking! 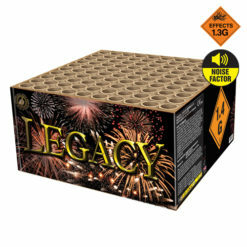 This pack was a real cracker, really great fireworks mix especially the mines, made everyone jump. 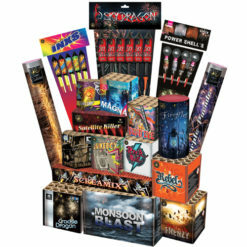 Get a stunning selection of superior quality display fireworks in the Carnival Display Pack. 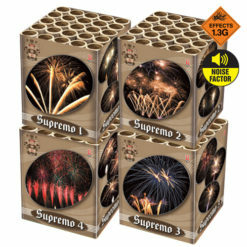 While also giving a comprehensive mix of noise and colour, aerial and ground cover fireworks. 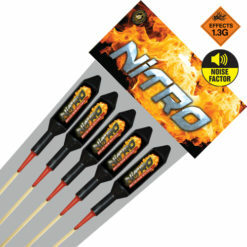 Such as roman candles, firework rockets, Catherine Wheel and instant firework mines. Also not to forget an excellent array of large calibre cakes and barrages. Find included with your pack. 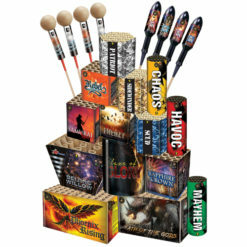 Recommended firing order, safety and lighting equipment. 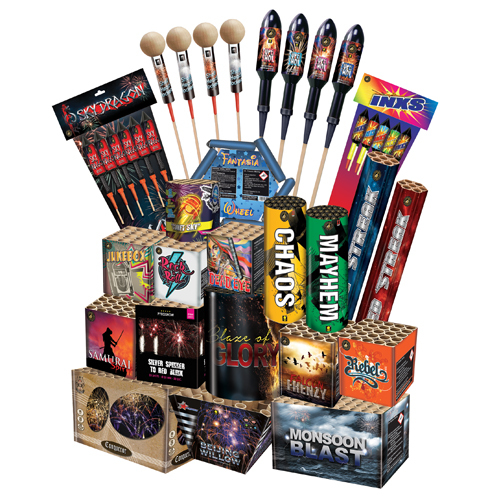 A comprehensive firework safety guide to help you perform a safe and successful display.